We all need a break from time to time. Sometimes, more than others. As the long haul of winter’s perpetual gloom lingers over us in a shroud of semi-misery and resentment we may need it right now. While we’re in between breaks at least we can all daydream. Like a Clark Griswold backyard pool dream sequence through the icy grips of a snow-covered landscape, Geowulf delivers a dreamy debut record that severs the resentment like a cold mixed beverage on a warm summer day. The shoegaze surf pop stylings of Star Kendrick and Toma Banjanin, from London, by way of Queensland, Australia, carries vast undertones of lazy day beach dreams and laid back ambiance as they leisurely dish up a delectable debut. The lapping waves of Great Big Blue open with the audio equivalent that is the serene beauty of Noosa itself. Why they’d trade that for anywhere in the world, much less London in the winter, is beyond me. What I do know, however, is that as Great Big Blue transitions into the likes of “Greatest Fool” and “Hideaway” the fun comes out. Intertwining the beachy vibes in a blend of effervescent vocals and subtle electronic breezes, Geowulf sheds stress and lifts the spirit. I find myself seeing days by the pool in the cold, frosted ground and sunny, green grass days through my shades in February. 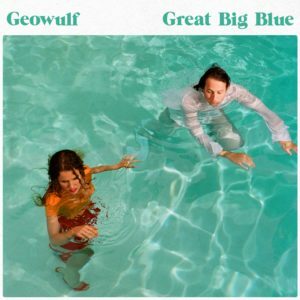 Geowulf’s Great Big Blue encapsulates the escape and day dreams we need to get us to summer where this album will likely accompany days spent outside bathing in the rays and memories. The calling of the vast dreamy sounds of Geowulf are true, the imagery vivid and tempting. Take the break, add a soundtrack to your daydreams (I won’t tell your boss). Give in, dive into the Great Big Blue and be consumed by its warmth. 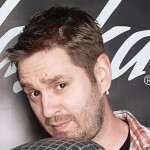 This entry was posted in Reviews and tagged album, Australia, CD, Geowulf, Great Big Blue, London, pop, review, Shoegaze, stream, Summer by Greg. Bookmark the permalink.